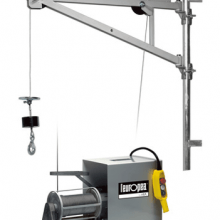 The L'Europea HG200 scaffold hoist is brand new to the market, and came about after much research into what builders and construction workers thought about scaffold hoists in general and how they might be improved. There were two key issues which came up over and over again; these were that the traditional scaffold hoists were rather large and heavy which made it somewhat difficult to get the hoist to where it was needed safely, which is usually high up a scaffold tower. 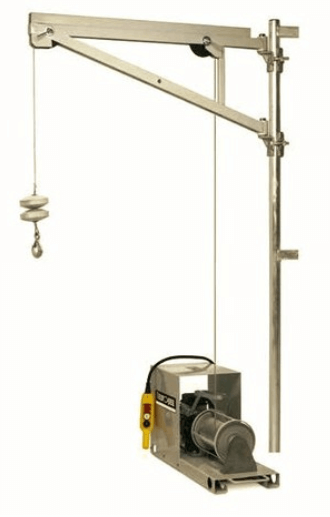 The second problem was voltage drops due to the distance of the hoist from the power source; this sometimes caused the hoists to stop working correctly. 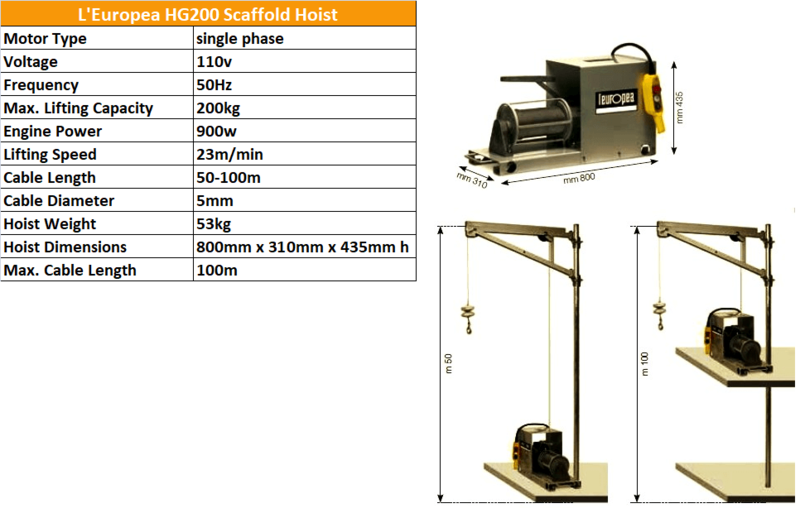 To address these issues the L'Europea HG200 scaffold hoist was developed. 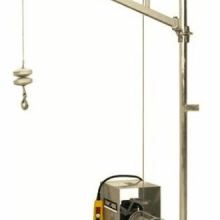 This hoist is quite different to other scaffold hoists in that it is mounted on the ground, and although it still quite weighty, it does not have to be carried up to high levels. 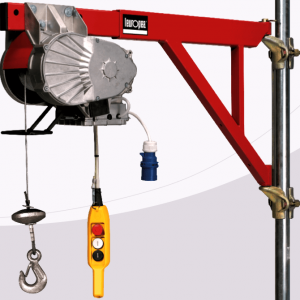 Whilst the hoist sits on the ground, the cable / wire rope will travel up through a lightweight transmission support system; this will be easily fixed to the scaffolding at any level you choose, replacing where a traditional scaffold hoist would be mounted. 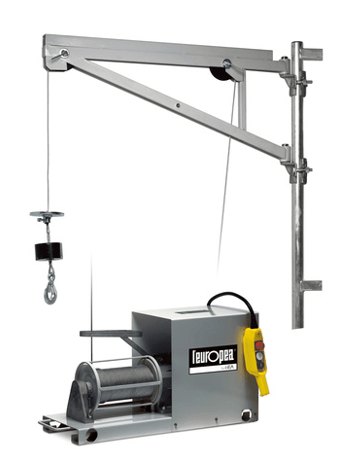 The L'Europea HG200 scaffold hoist is single phase with 110v and a lifting speed of 23 metres per minute. 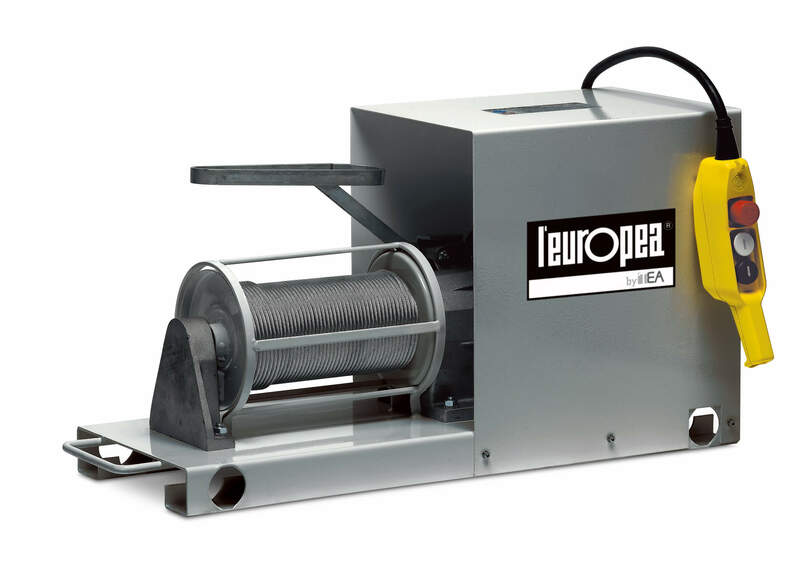 (240v available) The cable length can be between 50-100metres to suit, and is 5mm in diameter. Please refer to the specifications tab for more technical details. Give our sales team a call if you have any questions, or need a quick quotation.